SCHAUMBURG, IL – Hunter Foundry Machinery Corporation, world leader in matchplate molding and mold handling, has announced the promotion of two key international sales directors. 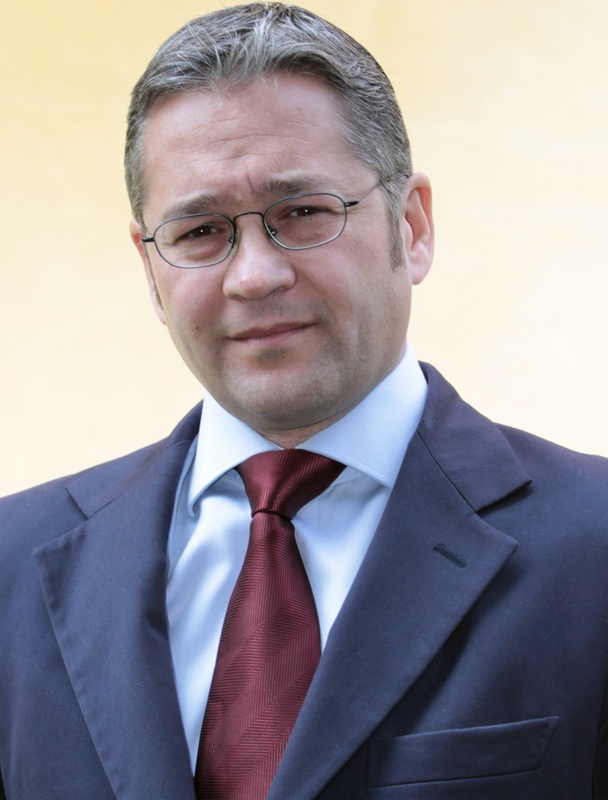 Former Director of Hunter-Europe Paolo Nazari, PhD has been named Managing Director – International, and former Director of Hunter do Brasil Eng Gustavo Debona has been named Director – South America. 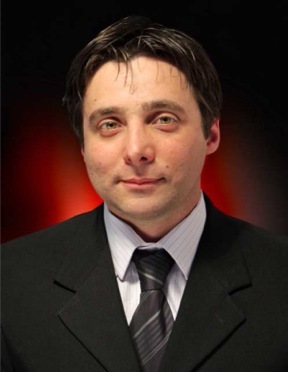 The opportunity to deepen customer support and consolidate its European presence prompted Hunter to open a sales and engineering facility in Legnano (Milan) Italy, when Dr. Nazari began with the company in April 2011. As Managing Director – International he is responsible for directing and managing sales, and operations (including Hunter’s sales agent network) in Europe, Russia and the Commonwealth of Independent States (CIS) countries, plus Africa and the Middle East, as well as South America. Eng Gustavo Debona joined Hunter in 2001, as service manager for its South American customers when the company opened its Santa Catarina, Brazil facility. In 2010 he was named Director of Operations for Hunter do Brasil, and as Director – South America is responsible for coordinating service, sales and management of operations throughout the continent. Hunter Foundry Machinery Corporation was established in 1964 as Hunter Automated Machinery Corporation with the invention of the world’s first gravity-filled automated matchplate molding machine. This began the company’s history of innovation and launched the foundry industry into a new industrial revolution. Pioneered by William “Al” Hunter in his home garage, the original HMP-10 machine streamlined the laborious metal casting process by offering foundries unimagined new capabilities by producing as many molds in one hour as most had previously been produced in an entire day. As industry demands grew, Hunter responded with advanced solutions such as automated mold handling equipment and coresetters. Now in its 50th year, Hunter Foundry Machinery Corporation’s inventions have earned nearly 150 U.S. and international patents. Hunter has produced more than 1,800 molding machines and mold handling systems for customers around the world. The company’s global reach extends from offices in the U.S., Brazil, China, India and Italy through North American, South American and Asia-Pacific manufacturing sites. Hunter’s sales and technical support is underscored by its $12 million parts inventory, established to maintain each machine’s original production capability across the worldwide foundry market. SCHAUMBURG, IL — Watts Water Technologies has begun operation of a new lead-free foundry in Franklin, NH that reflects the company’s commitment to proactively meet the requirements of the “Reduction of Lead in Drinking Water Act,” which goes into effect in January 2014 and establishes new limits on the lead content in every pipe, fixture, and fitting used to convey water for human consumption. Watts’ new WEFCO 2 foundry produces lead-free products exclusively, including lead-free versions of products the company produces at its WEFCO 1 facility (which is also located in Franklin, NH), as well as other products. Opening ceremonies were highlighted by comments from New Hampshire Governor Maggie Hassan and Franklin, NH Mayor Kenneth Merrifield. The new WEFCO 2 foundry expands and diversifies the production capacity of Watts’ WEFCO 1 foundry, which opened in April 1977, has undergone 16 updates, and produces products for many Watts brands. Based on its decades-long history of working with the WEFCO 1 foundry Hunter Foundry Machinery Corporation has kept pace with these expansions and updates. Former President and CEO, and Watts Water Director Emeritus, Tim Horne observed, “This significantly advanced foundry is the latest example of our commitment to the State of New Hampshire, and the city of Franklin.” Part of Watts’ strategy in this industry-leading facility are two XL2024 molding machines that feed onto a common HV-20 24 + 24 x 3 turntable mold handling systems, all produced by Hunter Foundry Machinery Corporation in Schaumburg, IL. Since its inception in 1977, the WEFCO 1 foundry used a full range of Hunter mold making and mold handling machinery. 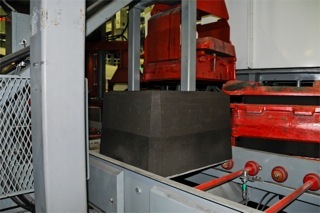 Originally, Hunter’s HMP-10 molding machines were installed on a Hunter HMH-210 mold handler alongside two Hunter HMP-20 machines that were installed on a Hunter HMH-220 mold handler. Hunter later addressed challenges in the older section of the foundry, including the need to increase pouring speeds, by replacing its older machines with Hunter’s C-series products. 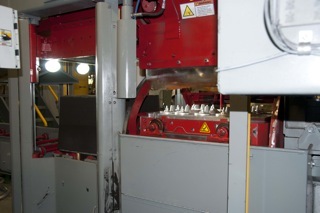 In 1999 these Hunter HMP-10C machines were replaced with Hunter’s HMP-10H mold making machines. For the new WEFCO 2 foundry, Hunter integrated an Inductotherm Auto-Pour unit fed by two Hunter XL2024 molding machines into common Hunter HV-20 24 + 24 x 3 turntable mold handling systems through use of a proprietary mold-tracking program. 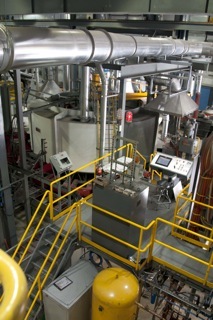 Hunter’s direct interface controller communicates computer-based pattern data with the correct pouring profile to an Inductotherm Auto-Pour furnace. In addition to this 35-year working history, according to New Hampshire Operations Engineering Manager Mike Geldermann there were several reasons why Hunter Foundry Machinery Corporation was the molding machine and mold handling system provider of choice for the new foundry. “Hunter was the only single-source mold handling and mold making interface,” he states. “Their equipment was directly interchangeable with our current pattern plate setup and tooling, and provides us with improved cope-and-drag alignment to eliminate mold shift,” Geldermann says. Additionally, notes Geldermann, “Hunter’s systems were highly cost competitive when compared with other options,” he says, adding that Hunter’s familiarity with maintenance and upkeep of WEFCO 1 foundry machines was a key factor in their selection for the new WEFCO 2 production line. ABOUT WATTS WATER TECHNOLOGIES, INC.
Watts Water Technologies, Inc., through its subsidiaries, is a world leader in the manufacture of innovative products to control the efficiency, safety, and quality of water within residential, commercial, and institutional applications. Its expertise in a wide variety of water technologies enables it to be a comprehensive supplier to the water industry. For more information, visit www.wattswater.com. SCHAUMBURG, IL — Hunter, the first name in automated matchplate molding machines, sand and mold handling equipment, announced today the sale of an XL 2430 molding machine to Skeppshult Gjuteri AB, a cast iron foundry in Skeppshult, Sweden, world-famous for its cast iron, no-stick cookware. By adding organic rapeseed oil to the raw materials used here, this cast iron foundry pioneered non-stick cookware from its beginnings in 1906, under the direction of founder Carl Andersson. 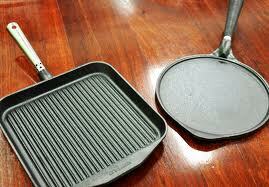 Today, the company’s cookware is found in high-end restaurants and homes worldwide. The foundry, located on the Nissan River in southern Sweden, is the last remaining cast iron cookware production facility in Scandinavia. Skeppshult cookware and other household items carry a 25-year guarantee, owing to the quality of materials, production and craftsmanship provided by this manufacturer. The Hunter XL 2430 is used at Skeppshult Gjuteri AB for the production of sand molds, the technology employed at this cast iron foundry. This sale was made through the European office of Hunter in Milan, Italy and overseen by the director of European Operations for the company, Dr. Paolo Nazari. The local Hunter representative for this success was HYBE Maskin AB of Halmstad, Sweden. 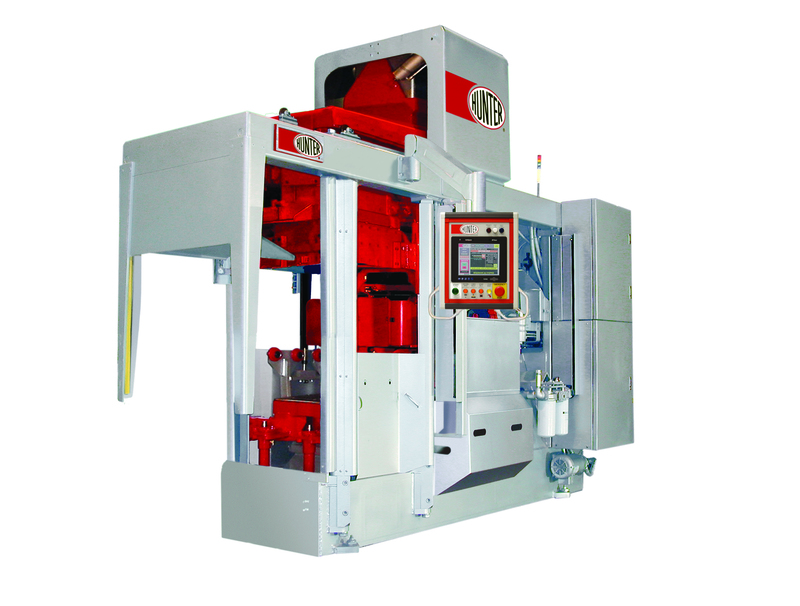 Hunter Foundry Machinery Corporation was founded in 1964 as Hunter Automated Machinery Corporation with the invention of the first gravity-filled automated matchplate molding machine. This development established the company’s history of innovation and launched the foundry industry into a new industrial revolution. Pioneered by William “Al” Hunter in his garage, the original HMP-10 machine streamlined the laborious metal casting process by offering foundries unimagined new production capabilities, producing as many molds in one hour as most had been able to produce in an entire day. As industry demands grew, Hunter responded with advanced solutions such as automated mold handling equipment and coresetters. Now in its 50th year, Hunter Foundry Machinery Corporation’s inventions have earned nearly 150 patents around the world. 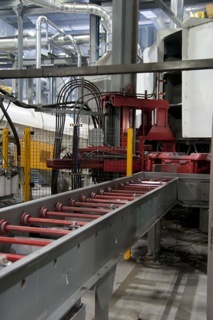 With more than 1,800 molding machines and mold handling systems installed around the world, the Hunter sales and service reach extends from its manufacturing sites in North America, South America and China through its offices in the U.S., Europe, Brazil, India and Shanghai to every corner of the globe. Sales and technical support, as well as the company’s $12 million parts inventory, serve to maintain each machine’s original production capability, as well as Hunter’s preeminence in the world market. New technology provides safer, cleaner work environment, as well as cost savings, for foundries by capturing and recycling unused pattern spray. SCHAUMBURG, IL — Hunter, the first name in automated matchplate molding machines and mold handling equipment, announced today the introduction of its new CESAR™ vacuum pattern spray recovery system. The CESAR system will be made available to the world market at the company’s Cast Expo 2013 Booth #473, where it will be mounted on Hunter’s new HLM-10 linear motion molding machine. CESAR will run throughout Cast Expo 2013, one of the foundry industry’s leading events, being held April 6-9th at America’s Center in St. Louis, MO. According to Hunter Foundry Machinery Corporation president and CEO Bill Hunter, who invented the system, “CESAR” stands for Contain, Evacuate, Separate And Recover. “This relates to the proper disposition of pattern spray typically used in sand molding operations, to act as a release agent between the mold and the pattern plate,” Hunter said. “We invented it in response to our customer’s needs, in recognition both of modern foundry and global environmental standards and to help improve their return-on-investment (ROI). Recovery, recycling and reuse of the fluid. Most typical molding machines include a spray head positioned in the sand filling station and a spray evacuation device positioned near the rotary cradle or the spray head. The spray is then dispersed onto the pattern plate as it enters the rotary cradle. But uncontained, excess spray can go onto other parts, as well as into the foundry atmosphere. This is why Hunter created its new CESAR System. “In our new CESAR System the evacuation device – a slotted tube on the circumference of the rotary cradle – connects to an inline vacuum pump. Then, a cyclonic separator and water separator capture release agent vapor from the air collected in the tube,” Hunter stated, adding that CESAR provides a cleaner, safer working environment in the sand foundry while providing not only substantial savings to a foundry’s operation but also a positive environmental benefit to that foundry’s “green” initiative. Hunter Foundry Machinery Corporation was founded in 1964 as Hunter Automated Machinery Corporation with the invention of the first gravity-filled automated matchplate molding machine. This established the company’s history of innovation and launched the foundry industry into a new industrial revolution. Pioneered by William “Al” Hunter in his garage, the original HMP-10 machine streamlined the laborious metal casting process by offering foundries unimagined new production capabilities, producing as many molds in one hour as most had been able to produce in an entire day. As industry demands grew Hunter responded with advanced solutions such as automated mold handling equipment and coresetters. Now in its 50th year, Hunter Foundry Machine Corporation’s inventions have earned nearly 150 patents around the world. 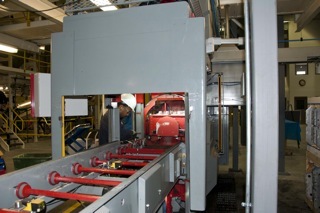 With more than 1,800 molding machines and mold handling systems installed around the world, Hunter’s sales and service reach extends from its manufacturing sites in North America, South America and China through its offices in the U.S., Europe, Brazil, India and Shanghai to every corner of the globe. Sales and technical support, as well as the company’s $12 million parts inventory, serve to maintain each machine’s original production capability, as well as Hunter’s preeminence in the world market. Expanding its pioneering position as the industry’s preeminent innovator, this new corporate name reflects the company’s single focus and dedication. 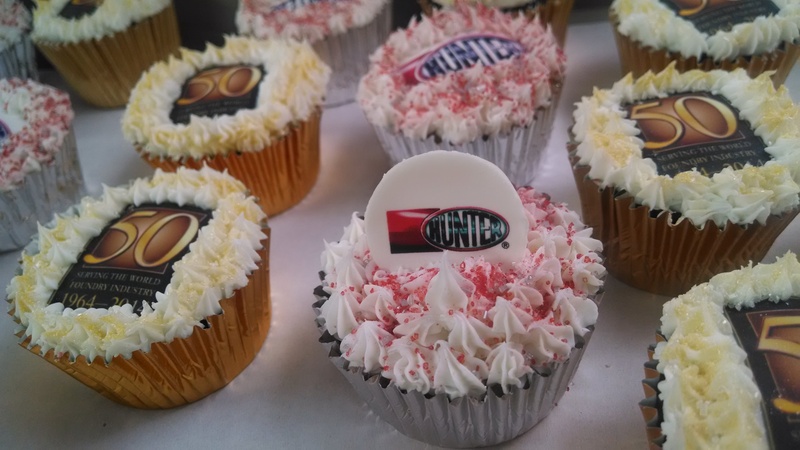 SCHAUMBURG, IL — Hunter, the first name in automated matchplate molding machines and mold handling equipment for the foundry industry, is celebrating its 50th year in a very special way. President and CEO Bill Hunter is announcing the company’s new name: Hunter Foundry Machinery Corporation. The company will be at Booth #473 throughout Cast Expo 2013, April 6-9th at America’s Center in St. Louis, MO. The company is also introducing its new HLM Series automated matchplate molding machines, which are based on Bill Hunter’s newly patented linear motion technology. Founded in 1964 as Hunter Automated Machinery Corporation, the company’s reputation as a global foundry equipment leader has built steadily, beginning with its creation of the first truly automated matchplate molding machine developed by the company founder, the late William Allan “Al” Hunter. Since that time it has expanded into linear and rotary mold handling lines, sand handling, preparation and testing equipment, and more. “Ever since my father founded our company nearly 50 years ago, our reputation has been built on the successful development of new products and technologies for the global foundry industry. It has been our privilege to serve this industry with the latest innovations, as was my father’s vision, ever since,” said Hunter. “Today we’re looking both at our history and ahead, to our legacy of innovation within the foundry industry,” Hunter stated. “Accordingly, we are announcing at Cast Expo 2013 the renaming of our company to Hunter Foundry Machinery Corporation, as a reflection of our single-focus past, present, and future exclusively within this industry,” he noted. The company’s introduction of the first gravity-filled automated matchplate molding machine established its history of innovation, and launched the foundry industry into a new industrial revolution. Its original HMP-10 machine streamlined the laborious metal casting process by offering foundries unimagined new production capabilities, producing as many molds in one hour as most had been able to produce in an entire day. As industry demands grew Hunter responded with advanced solutions such as automated mold handling equipment and coresetters. Hunter’s inventions have earned the company nearly 150 patents around the world. 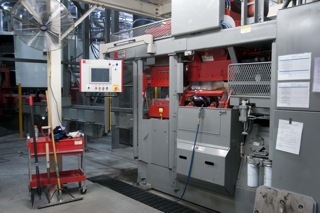 With more than 1,800 molding machines and mold handling systems installed around the world, Hunter’s sales and service reach extends from its manufacturing sites in North America, South America and China through its offices in the U.S., Europe, Brazil, India and Shanghai to every corner of the globe. Sales and technical support, as well as the company’s $12 million parts inventory, serve to maintain each machine’s original production capability, as well as Hunter’s preeminence in the world market.